A design thinking workshop entitled “Media and Innovation: Tools for the 21st century” was held on Tuesday December 12th 2017 at Antwork Beirut, where students participated in addition to local and international experts in the field of media startups. During the workshop a prototype was designed aimed at finding innovative solutions to build on in the development of media and innovation. The event took place on the sideline of the workshop entitled “Media and Innovation: Opportunities for Sustainability of Independent Media Startups”, organized by Maharat Foundation and Deutsche Welle Akademie during which a training program was launched about Media Management. The sessions were facilitated by the consultant and strategic designer Nelly Baz who tackled the design thinking approach and how to benefit from it in the design and planning processes. Baz ensured that this approach is very beneficial in media and innovation since journalists and media experts are also considered as designers. She emphasized on the importance of knowing the target. 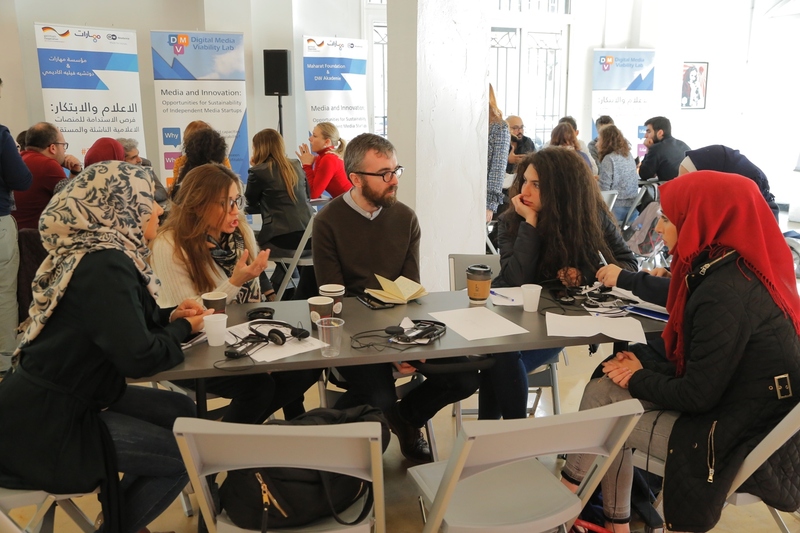 Participants had the chance to discuss their experiences and challenges in four main fields: media content, distribution, media management, and financial aspects. Independent media platforms, union, encouraging audience to contribute financially, conducting media workshop attended and financed by the audience. Counting on social media platforms, Creating a platform for archives, addressed by researchers and students, it gathers content from the archive of local newspapers in cooperation with these outlets by giving them a percentage of profit, the platform is financed by subscriptions and paid content.